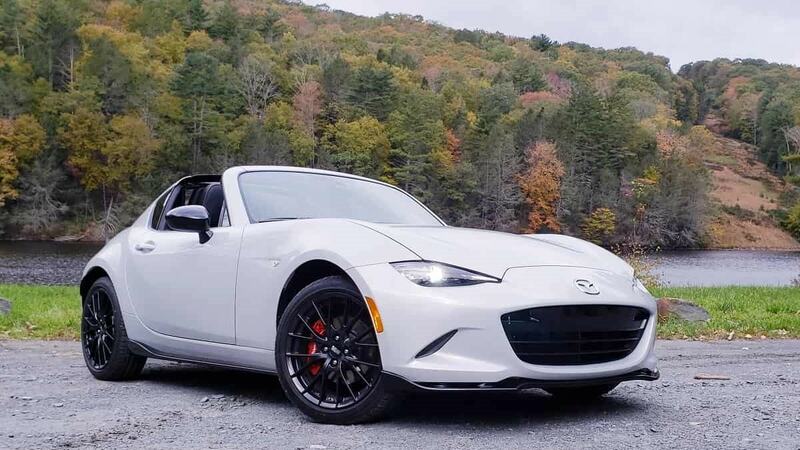 A new NHTSA recall on the Mazda Miata may have accidentally let the cat out of the bag regarding how many Miatas sold in America are automatics. If we are reading the tea leaves correctly, it is - we hope you are sitting down - HALF! Yes, the recall affects only those Miata's with automatic transmissions. From 2016 through 2019, so the entire current ND generation, Mazda says that 14,370 vehicles are included in this NHTSA recall. We did the math and tallied up how many Miatas in total Mazda sold in America (which is the only place that NHTSA recalls are valid) and found to our shock and dismay that Mazda sold 30,077 Miatas in total, so 48% of the cars sold by Mazda were included in this AUTOMATIC transmission only recall. Mazda's information includes this table. We have added the total sales for the given year in italics. As a former and future Miata owner, this is very troubling. It means that setting aside the automatics purchased by those who have a physical handicap, and we assume that number is relatively small, a huge number of Americans, nearly half, are buying the wrong Miata. We are new-age automotive enthusiasts here at Torque News. Our editor bought an automatic Hellcat. We get it. The car is set up to be a drag racer and the auto is faster. We understand why Ferrari and other automakers no longer sell stick shift cars. Because they are slightly slower and that matters to supercar buyers more than fun. We get why Porsche and other sports car makers are moving away from sticks. Their buyers are not really looking for sports cars, or they are looking for track cars. But Miatas? With an automatic? Why!? The entire soul of a Miata is directly tied to shifting the car. Being involved. Learning to match revs on downshifts. Getting the tail out in this rear-drive car with a bit of throttle. Automatics remove these pleasures. This is an opinion story and one that we are hoping that we have wrong. Please, someone, help us see that our math is wrong. PLEASE! Miatas are nice, but three strikes: too much wind and tire noise at 55mph+, even in the hardtop; huge blind spot created by the B pillar and the absence of a quarter rear window; and, a blind spot created by the A pillar. Unfortunately, the only other Manual T sports car is now the Porsche Cayman, which is twice as expensive, but without the blind spots and noise problems. The TT and Z4 are unfortunately Auto only.